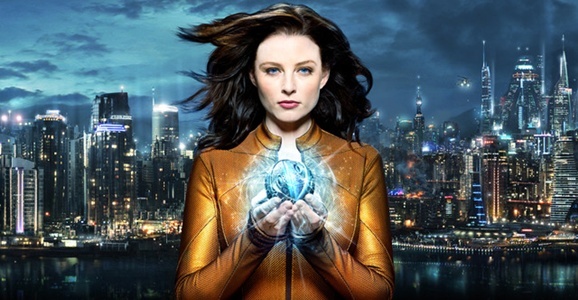 The Canadian science fiction series Continuum will give you more time travel-y goodness, but in a much more limited way. There will be no hopping around the timestream willy-nilly in the style of the Doctor and his TARDIS. No, instead Continuum’s big time travel moment is the inciting incident for the story that follows. Kiera Cameron (Rachel Nichols) is a cop in 2077, a time when corporations are largely replacing governments as the power structures of society. When a group of condemned criminals (or rebels, depending on your POV) attempt to escape to the past, Cameron accidentally finds herself stranded in 2012 Vancouver along with them. Posing as a cop from our present, she sets out trying to find a way home, and to stop the rebels from altering her history. The first season is so-so, but things really get fun in season two. And if you get hooked, you’re in good shape — it’s been renewed for a third season in Canada, and it will likely follow the footsteps of the first two seasons and premiere on Syfy here in the States sometime in 2014.